Someone believes that data recovery service is worth trying because of the high price always equals to high-quality service. On the contrary, someone trusts on cheap data recovery software with an affordable price that helps to recover lost files. The same is none of them likes to waste money or time on waiting for the meaningless recovery. Anyway, everyone deserves the rights to make the choice freely. Since the data recovery industry begun, no matter data recovery service or data recovery software can be both relied on recovering your precious data. The difference is data recovery software is always cheaper than data recovery service. Today is this article; we will show you the advantages of using data recovery software with affordable price and powerful functions. What is data recovery software? Data recovery software is a program runs on Windows or Mac to recover any file types of document, photo, video, audio, archive file, etc. It fully supports partition loss recovery, accidental deletion recovery, format recovery or can recover data after system crashed, virus attacked and power failure, etc. You can use data recovery software to scan loss of data from SD card, PC/Mac, USB drive, digital storage medium, hard drive, etc. According to our data sheet that about 85% of users didn't purchase data recovery software right away after data loss were due to lack of necessary computer skills. Especially they were afraid of further data loss by wrong operation on the data recovery software. 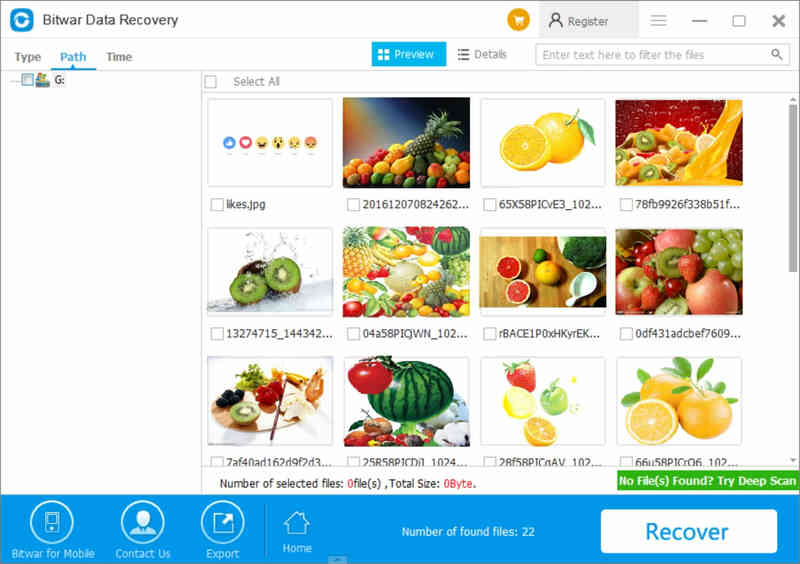 It's quite a common situation and we completely understand the view of points from the users, then we launched the Free Trial version with easy 3 steps recovery mode to ease the fear while operating the data recovery software. One of easiest function of a data recovery software is the 3 steps recovery mode, and Bitwar Data Recovery is walking ahead of its rival software to serve the users with 3 steps recovery mode that helps users to know what to do next even at the first glance of an eye. Whichsoever you believe the data recovery service or trust on data recovery software, the most required thing is to retrieve all the loss of data back to us. Our data recovery experts has developed the advanced data recovery algorithms to support scan loss data with 3 scan modes, you can also scan the inaccessible device directly with Deep Scan which still can be recognized by your computer. If you are interested to read more, you can visit our data recovery tutorial to check how to use Bitwar Data Recovery to recover lost files of you need. Why you need a cheap data recovery software? One thing we have to agree that is both of the data recovery companies and data recovery software is not the powerful tool for recovering the data that has been overwritten already. To avoid permanent data loss, please make sure that do not download, copy, write new data into the drive where have your lost files. It seems for now that choosing data recovery software with cheaper price isn't a bad choice. Moreover, it's merely $49 for annual license or $99 for lifetime license that you need to pay for the fee of Bitwar Data Recovery after the initial 30 days free trial, compare with the rival software, some are having 1 GB Free Trial and then charges you from a range of $60 to $300 for annual license. Only if you don't care about the expensive price of data recovery service, there's nothing need to worry about, just send the hard drive to the companies and await them to recover. Otherwise, I believe that Bitwar Data Recovery it's a cheap alternative data recovery solution for you. Summary：you can recover lost data by using easy data recovery recovery software with 30 days free trial and have no recovery amount limits. It recovers your files completely and quickly. Summary：Easeus Data Recovery Pro Crack with the latest key generator, serial key or license code isn't your last choice, Try with 100% Free Data Recovery Software.